Great reading at a bargain price. One of a box set of hard cover deluxe slip cased volumes reprinting the complete EC comics reproduced from the original artwork. 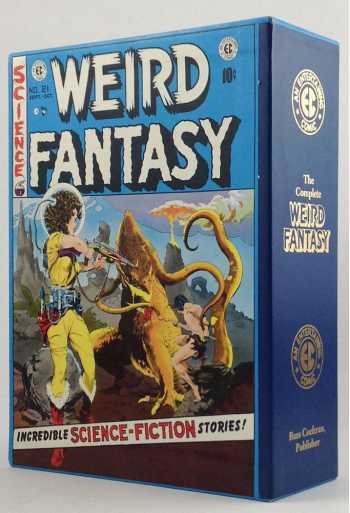 The stories are printed in stunningly detailed black & white with the covers in full color. The books are smyth sewn and deluxe bound to last a lifetime of rereading. 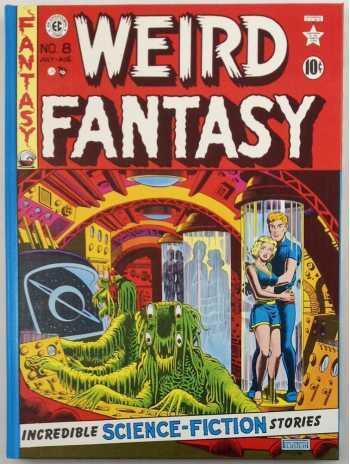 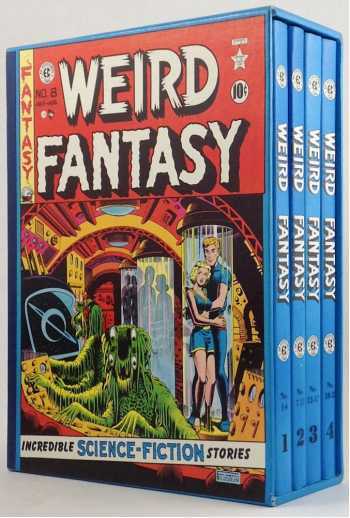 This long out-of-print set includes all 22 issues of Weird Fantasy (1950-1953) reprinted in 4 volumes. 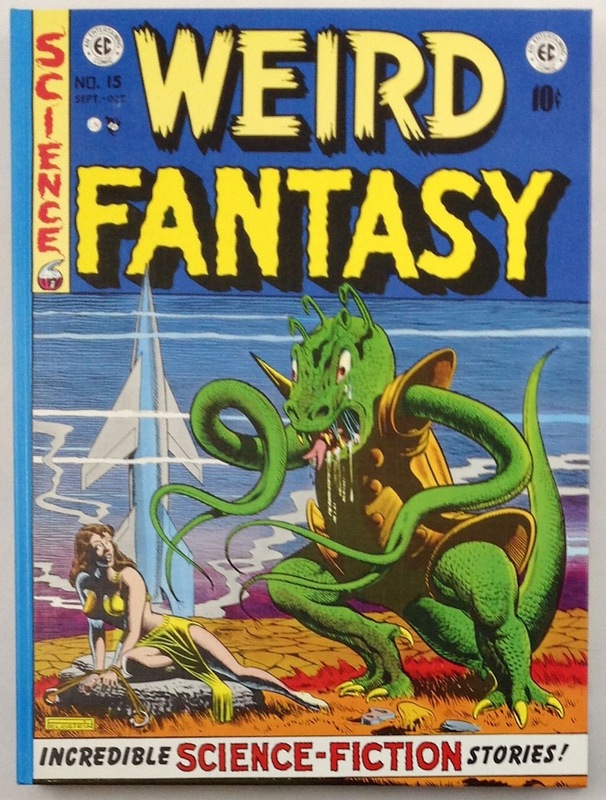 22 covers in color. 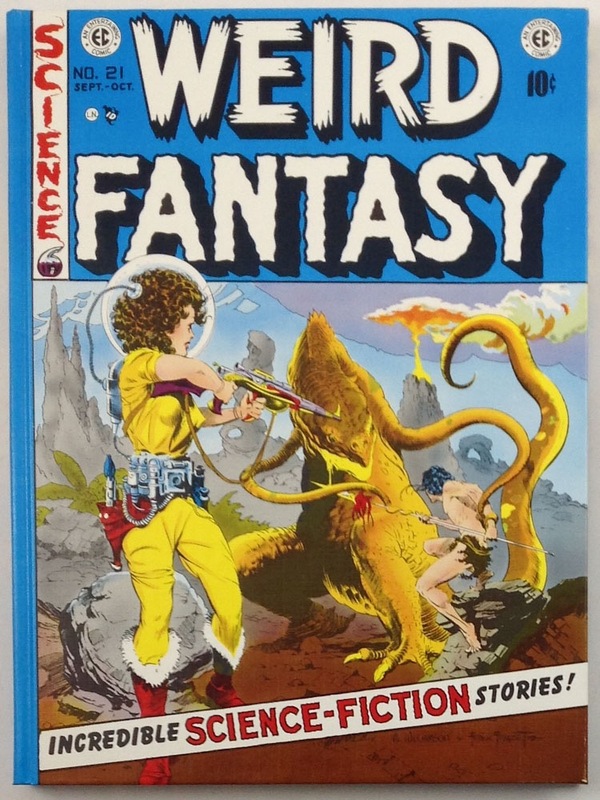 Plus notes and comments by EC scholars. 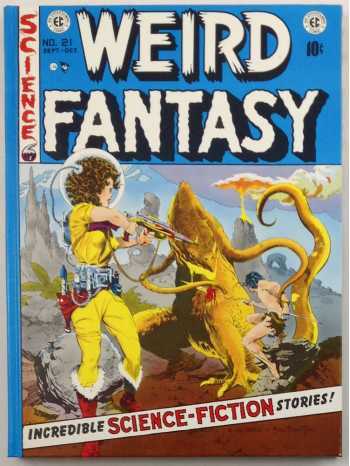 Cover illustrations were by Feldstein with the exception of two by Joe Orlando, one collaboration by Feldstein and Al Williamson, plus another collaboration by Williamson with Frank Frazetta. Artists who drew stories for this EC title were Feldstein, Frazetta, Williamson, Orlando, Wally Wood, Harvey Kurtzman, George Roussos, Harry Harrison, Reed Crandall, Will Elder, Bernard Krigstein, Jack Kamen, John Severin and Mac Elkin. 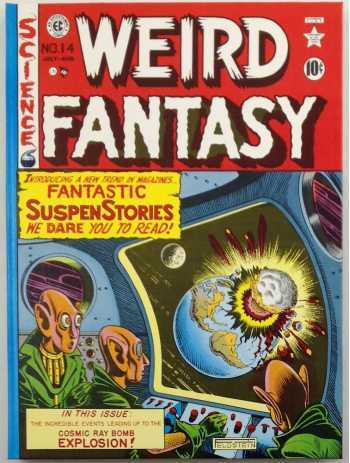 Writers in the early issues included Feldstein, Gaines, Kurtzman, Harrison and Gardner Fox. Gaines and Feldstein wrote nearly all stories from 1951-53.